Can you avoid knee replacement surgery and fix a bone-on-bone knee without having stem cell therapy? In certain patients, we offer stem cell therapy. But we do not offer stem cell therapy to every patient. In fact, we offer stem cell therapy to very few patients. Don’t we believe in stem cell therapy? Of course we do. We also believe that in MOST CASES, stem cell therapy is not the best first way to tackle the many knee problems that lead to a knee replacement recommendation. Before we begin this article, a brief explanation. We estimate that 1 in 10 patients that we see in our clinics have already received some type of stem cell therapy in another office. They are in our clinic because the treatment they have received has failed to meet the patient’s expectation. In our offices, we rely mainly on a comprehensive program of Prolotherapy injections. These injections are simple dextrose solutions. In our more than 26 years experience, we have found, published and reported on the medical literature surrounding the effective use of these simple, much less costly treatments. We have a very extensive article on our website in support: The evidence for Prolotherapy Injections when the recommendation is Knee Replacement. When we do rely on stem cell therapy, it is usually in the form of bone marrow aspirate or bone marrow-derived stem cell therapy. We have found, published and reported on the medical literature surrounding the effective use of bone marrow stem cells. You can find this research here: Bone marrow stem cell therapy and Prolotherapy | Published review 7 case histories. If you are reading this article it is possible that you have researched stem cell therapy and you have come upon products from donated afterbirth material such as amniotic fluid, placenta tissue, umbilical cord stem cells, wharton’s jelly, etc. 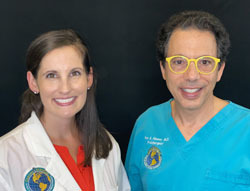 As mentioned, our clinic has been offering regenerative medicine for over 26 years. We have always explored many new healing opportunities for our patients. While afterbirth material therapy may provide results for some, we do not offer it because the results are not consistent, the cost is more prohibitive and many of the claims made are not backed by good science. Please refer to this article for more information: Amniotic Stem Cell Therapy | Cord Blood | Placenta Tissue. I have a bone on bone knee, I thought stem cell therapy was the only thing that could help short of knee replacement. People with knee osteoarthritis pain, probably like yourself, go to the orthopedist and hear over and over about their eventual need for a knee replacement. You may have been given a much more critical, “we should schedule this knee replacement now,” recommendation because it took you a long time to walk from the reception area to the examination room and all along the way you may have been reaching and lunging for chairs, walls, and counters to use as support and your doctor saw you do it. You would like to avoid the knee replacement for various reasons, all equally important to you. In your research, you have come upon stem cell therapy. You read through some websites that suggest this simple, possibly one-time injection, will make all your pain go away. This is unrealistic thinking as this is almost never the case. The reason it is almost never the case is that stem cell therapy, even when most effective, requires a comprehensive approach to treatment that includes multiple treatments or the use of Prolotherapy injections into the knee’s supportive ligaments. Degenerative knee disease does not happen overnight. Healing degenerative knee disease with stem cell therapy cannot be expected to repair decades of wear and tear as a one-time injection treatment. Destructive changes to the knee’s lubricating and protective synovial membrane turns good lubricating oil into a rancid toxic soup and in general causes destructive hypertrophy (enlargement or swelling) of the knee joint capsule. To attack this type of knee degeneration you need a comprehensive plan. Why start treatment with dextrose Prolotherapy and not attack immediately with stem cells if the damage is so significant? Before we get into the topic matter of this section. There are some instances where a patient will come into one of our clinics with significant knee degeneration and in some of these patients, we will recommend either Platelet Rich Plasma Therapy, which we mentioned above or stem cell therapy at the onset of treatment. In most, however, even those with failed stem cell therapy, we will begin with simple dextrose Prolotherapy to address the knee ligaments. 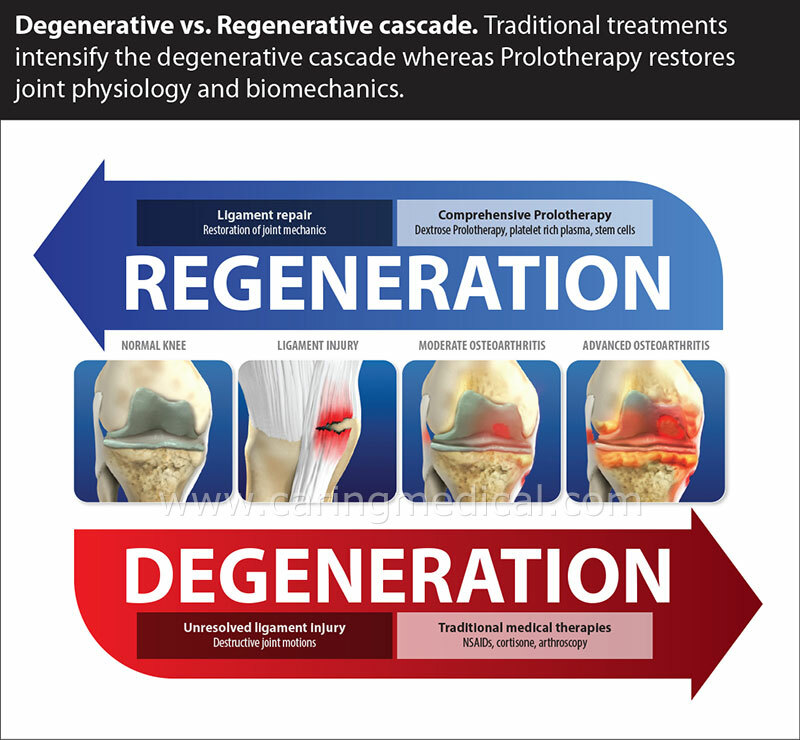 Sometimes in treating with Prolotherapy, enough regeneration occurs that there is no need for adding stem cells. When we start to stabilize and repair the knee ligaments, the knee starts healing. The instability that allowed degenerative damage to harm the knee is now being addressed. When the instability problem is rectified, the knee starts healing. Sometimes enough healing occurs that there is no need to progress to PRP or Stem Cell Therapy. The definition of joint degeneration is a “slow eroding process of a joint.” The opposite of degeneration is regeneration. Regeneration can be defined as “the slow process of regenerating or being regenerated.” What we want to stress here is that regenerative medicine is a process and very rarely a one-shot treatment. The body heals in 4 to 6-week cycles. 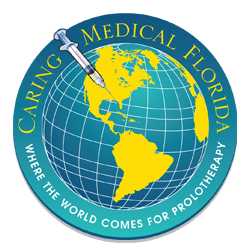 This is when we offer Prolotherapy, every 4 to 6 weeks. When offering stem cell therapy, we may also choose a similar time frame between treatments. If dextrose Prolotherapy worked on advanced osteoarthritis in all patients, we would not offer stem cell Prolotherapy. For some patients, traditional dextrose Prolotherapy must be used in combination with PRP treatments or stem cell solutions. 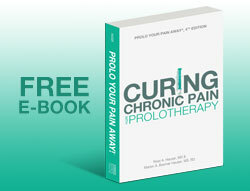 However, Prolotherapy without stem cells has been shown to be an effective treatment on its own. In 2016 the Universities of Wisconsin, Kansas, and Michigan team with doctors from Argentina is publishing combined research on the positive clinical and chondrogenic (cartilage growing) effects of Prolotherapy in participants with symptomatic grade IV knee osteoarthritis. (1) Positive clinical and chondrogenic (cartilage growth) effects were seen after prolotherapy with hypertonic dextrose injection in participants with symptomatic grade IV Knee Osteoarthritis, suggesting disease-modifying effects and the need for confirmation in controlled studies. Minimally invasive arthroscopy (single-compartment, single-portal) enabled collection of robust intra-articular data. 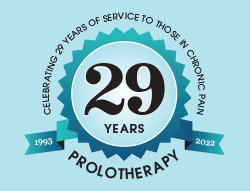 In published research in the Journal of Prolotherapy, (2) Ross Hauser MD investigated the outcomes of patients receiving Prolotherapy treatment for unresolved, difficult to treat knee pain at a charity clinic in Illinois.